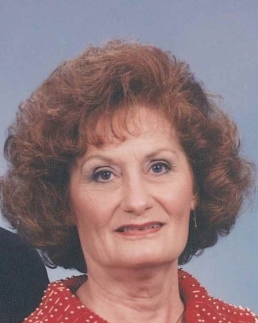 Alline (Mason) Hibbert of Rush Springs, 87, passed away on January 19, 2019 at her home. She leaves behind her husband of 64 years Bob Hibbert, her daughter and son in law, Terri and Mike Waller, her grandchildren, Latisha Duke her husband Brent; Tandon Waller and his wife Andrea and one great grandson Case McClish. Alline was born on December 4, 1931 in Walters, Oklahoma to Charles and Pearl Mason. She had one brother, Lee Roy. She married her sweet heart Bob Hibbert on April 17, 1955. Then years later their daughter, Terri was born. Most of her life she was a homemaker. She was very involved in her daughter’s life as well as her grandchildren lives. For fun, she loved to go on vacations especially to the lake and boating with her family and friends! The absolute love of her life was her husband Bob. She always thought he was the sweetest and most handsome man she had ever met. She adored him! She was a wonderful mother and grandmother. She kept her grandchildren a lot, so she was extra close to both of them. She always told Tisha that she was “Special” and called her “Precious”. She thought Tandon was the kindest and best grandson in the world! They were her life! She also enjoyed seeing her great grandson, Case. A celebration of Alline’s life will be held at the Don Grantham Funeral Home Chapel in Duncan, Oklahoma on Monday, January 21, 2019 at 2:00 PM.